At the start of the new academic year, many parents are saddled with the challenge of getting their children admitted to schools but various mechanisms are in place to ease the enrollment of learners, for the entry grades. 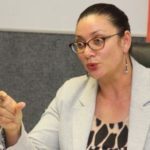 In this regard the Permanent Secretary of the Ministry of Education, Arts and Culture, Mrs. Sanet Steekamp, issued a statement with vital information which is aimed at assisting parents struggling with the issue of enrollment and placement of the children in school. These mechanisms have been created by the Ministry and the information is distributed through the various Directorates of Education in the different regions. It is our sincere wish that what 2019 has in store for the education, arts and culture fraternities is positive. May the 2019 school year be one of accountability, commitment and hard work, to ultimately provide quality and accessible education to all as enshrined in the Namibian Constitution and the Education Act (Act No. 16 of 2001). While we are optimistic about 2019 prospects, the intake of learners into entry grades creates a challenge every year in almost all the regions. It is for this reason that the Ministry, through the Directorates of Education, Arts and Culture puts mechanisms in place for the enrollment of learners, for the entry grades. 1. What efforts and provisions has the Ministry made with regards to the placement and admission of learners into entry grades? As part of the Ministry’s pro-active efforts to ensure that learners are placed ahead of the new academic year, a circular is issued on an annual basis in this regard, providing guidelines to schools. As outlined in the circular (Form ED. 2/2018), the admission process for 2019 commenced in June 2018 with parents applying to schools through the principal as stipulated in the Education Act (Act No. 16 of 2001), Section 54 (1) with regards to an application for admission of a learner to a state school. c. Learners that are already attending a school where the next grade exists will not be allowed to move to another school as the child already has an automatic place in the next grade, except in cases where parents move from one region to another. In such cases, applications should be supported by a letter of transfer from parents/ legal guardians, employer or pastor. The principal of the new school where such a child is being transferred to should request the cumulative record card of the enrolled learner from the previous school. – If any needs are identified, the committees would provide a regional management detailed report of all additional needs identified. The regional management will then liaise with the Permanent Secretary on the provision of needed facilities/ services. In addition to the administrative provisions narrated above, the Regional Directorates of Education, Arts and Culture also work on projects based on national population growth demographics to plan. 2. Almost every year, we experience a shortage of space or accommodation in schools mostly in Windhoek. What causes learners not to get placements? In the interim, the Ministry commits to infrastructural development, which remains a priority for the Ministry as we aim to ensure that a conducive learning environment is created for our children. This is made provision for in the Ministerial budget and further facilitated through advocacy via the Friends of Education initiative and with support from our stakeholders. 3. What happens when a child does not secure placement? Each Regional Directorate of Education, Arts and Culture have modalities in place to ensure that learners get placement. The Ministry hereby urges parents and guardians to contact the Directorate of Education, Arts and Culture in their respective region(s). Each region has an admission committee, dedicated to accelerating the admission of learners still seeking places. It should be noted that learners are placed at any school that still has space available. 4. Parents have reported that schools are charging them for application fees? 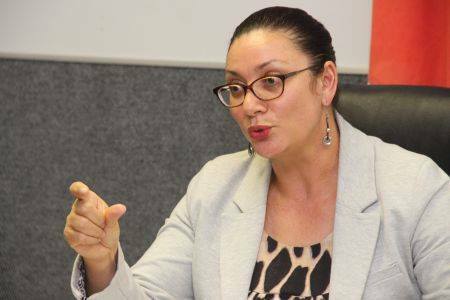 With regards to application fees, the Ministry has advised the Inspectors of Education to guard against schools that charge exorbitant fees for applications. Application fees are only for administrative purposes such as photocopies and do not guarantee a space in schools. The amount differs from school to school. Although the Ministry advocates for free education, there are expenses that need to be covered by schools and the Ministry cannot cover all of this alone; therefore we need parents to support schools. 5. Does the Ministry make provision for agents to facilitate the admission of learners at a fee? The Ministry does not make provision for agents to facilitate the admission of learners. Parents are urged to be vigilant of people posing as agents, who request to facilitate the application process at a certain fee. The Education Act (Act No. 16 of 2001) does not make provision for agents in this regard nor does the Ministry of Education, Arts and Culture register agents to play as the middlemen in the application process for admission. Parents and guardians should therefore directly liaise with the schools and Regional Directorate of Education, Arts and Culture for admission in adherence to guidelines in place. 6. Some schools are withholding school reports? Learner reports may not be withheld because of any outstanding fees. Textbooks must be returned and accounted for, therefore if a textbook is lost or damaged, parents and guardians are obliged to pay. 7. Placement of grade 11 in regions? The Regional Directorates started with the placement during the first week of January 2019, to ensure the lists are distributed before the school year commences. 8. Could you please also include how many places are available? Regions project growth of 3 to 4 % in enrollment per year, however, this is not indicative of actual figures. Regional updates change on a daily basis as only stabilises in the second week of February. Learners who were not successful in the previous academic year to be promoted to the next grade also need to be provided for. 9. Any other additional information? The Ministry calls upon parents to work in unity with schools during this application process as the admission of learners should be a collective effort from all stakeholders. We also would like to urge parents to be cognisant of the fact that each school is unique, and logistics put in place may be based on their environment and administration processes. Finally, parents and guardians are encouraged to contact schools and the Directorates of Education, Arts and Culture in the respective regions for guidance.